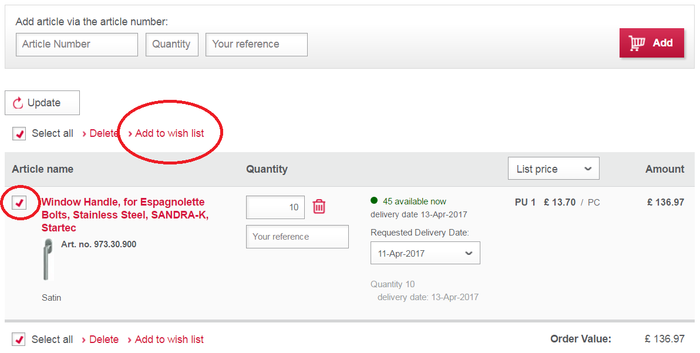 The wish list has a number of useful capabilities, such as providing you with a quote for your customer which can be saved and added to your basket at a later stage. Or if you have a regular order that consists of mainly the same items each time you can save the order and simply add it to your basket in one go each time. If you are unsure which product is best suited to your particlar job, or perhaps a customer is torn between a number of options the comparison tool should help make the decision much easier. 1. 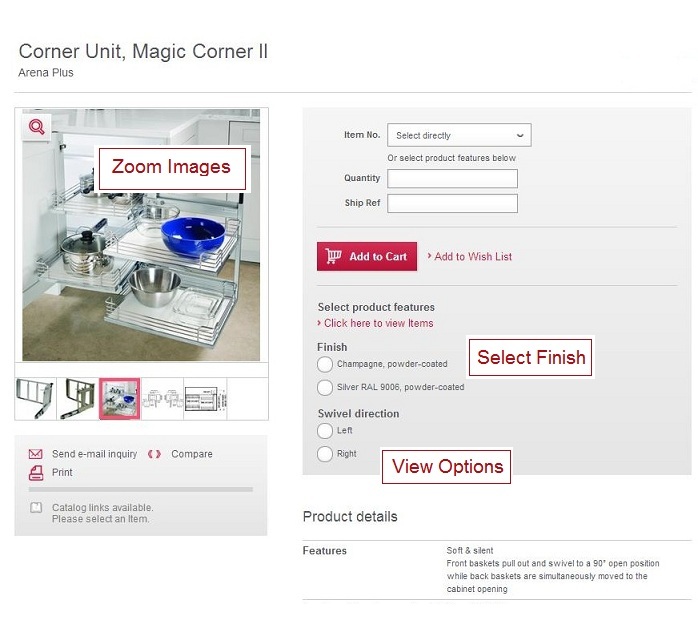 To use the comparison tool you will need to select a number of products to compare from either the category page or the product page. 2. Once you have selected more than one product you will need to select the 'Compare Selection' link which will display the comparison page. 3. You can print or email this page.